More Danish food obsession- here are a few things we picked up at Torvehallerne, the farm market in Copenhagen. The little carrots are wonderfully sweet, the garlic is very fresh, but the beautiful ruffled tomato is something of a mystery. It’s virtually hollow. Antman cut into one and was sorely disappointed by its lack of center. Perhaps it’s meant to be stuffed and cooked? The small cup is full of dried white beans. Antman is a very fine cook, and would turn these ingredients into a savory soup if I asked him very nicely. 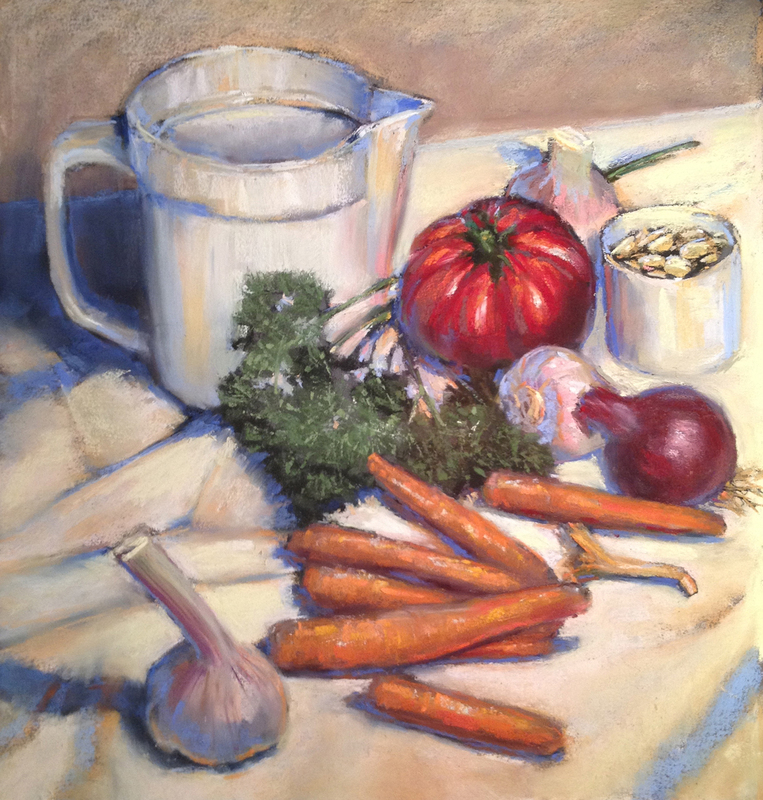 Pastel on sanded Artspectrum paper, 14″ x 16″.